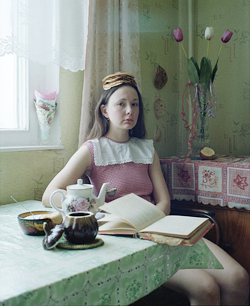 Alena Zhandarova is the Russian based artist exploring the interaction between space and human in it. She investigate the border between habitual and unfamiliar, using the visual storytelling as a tool of implementation of my inner philosophy. She is working basically through portraits, where the person or herself perform as a ground for sculptures, which she can mold and create something new, find the answers and set the new ones. She goes this way to release internal forces and wellsprings, because she believe that the universe in us is infinitely wise and knows this world better than we.